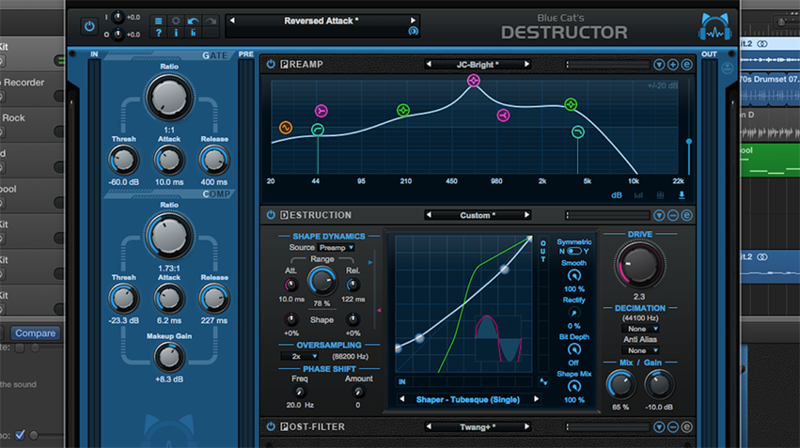 Blue Cat's Destructor is a powerful distortion and amp sim modeling tool capable of simulating any kind of distortion. 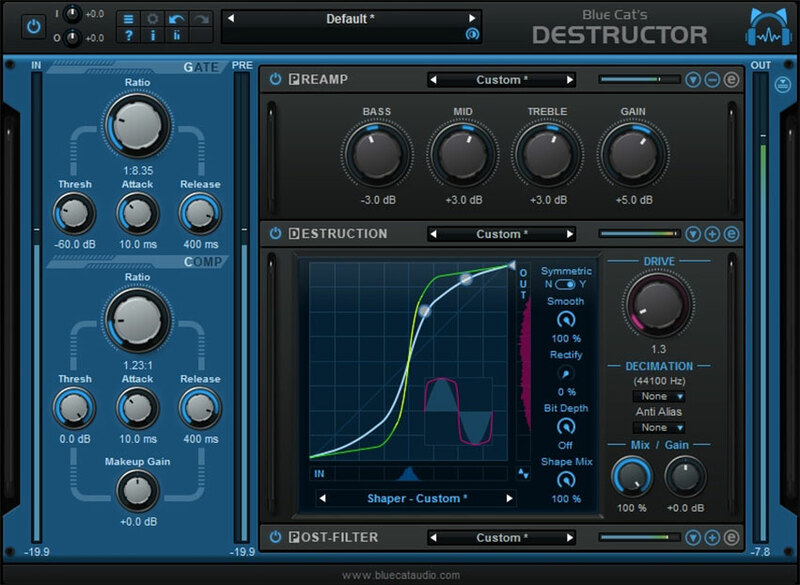 Packed with hundreds of presets and predefined models, Destructor draws inspiration from existing guitar & bass amps, cabinets, compressors, pedals, tape machines, etc. Destructor provides its users with an abundance of quality sonic options, ensuring that each user will not be disappointed. 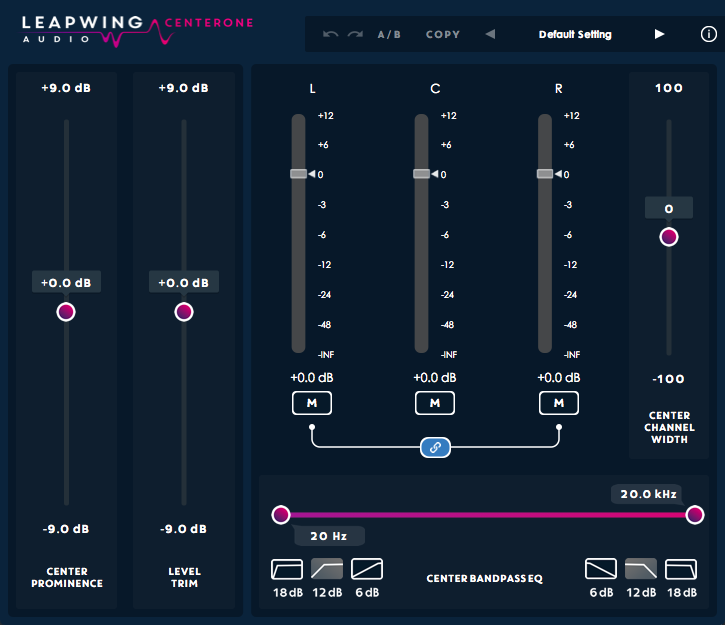 All parameters of existing presets are fully editable, which gives the user access to an unlimited number of distortion simulations allowing the user to build their own custom tone. Destructor is based on a perceptual model rather than on electronic designs or impulse responses. The signal chain is reduced to its bare minimum, simplifying the process of tweaking a tone and making it fit into the mix. 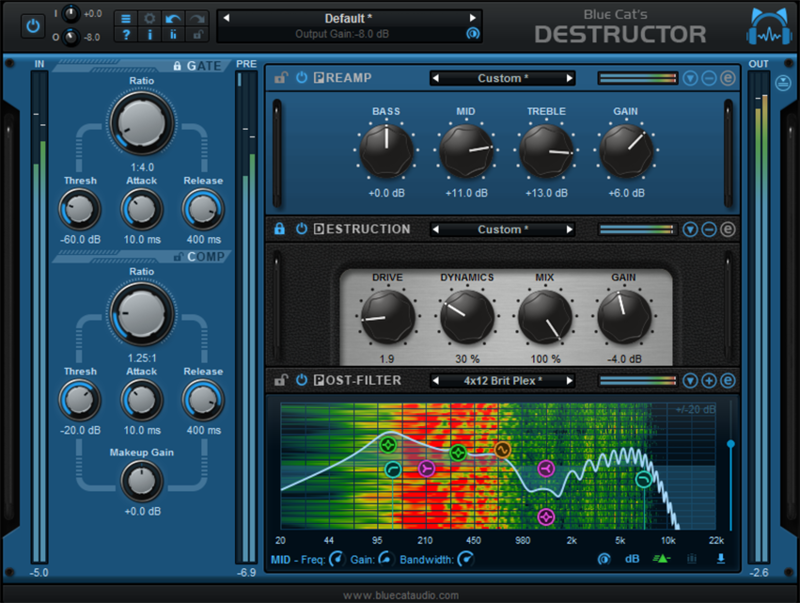 Destructor is great for: distortion modeling, guitar amp simulation, non-linear tone shaping, overdrive, bit crushing, analog compression, hard & soft clipping, coloring, tape saturation, Lo-fi, fuzz, digital noise, aliasing, filter effects. Destructor feels natural. Mirroring analog gear, Destructor's exclusive adaptive shaper allows the plug-in to be reactive to the playing of instrumentalists. Destructor is based on a algorithm that replicates the behavior of most systems that generate distortion in the real world. A combination of pre-filtering or pre-emphasis in conjunction with post-filtering and non-linear distortion that generates overtones. 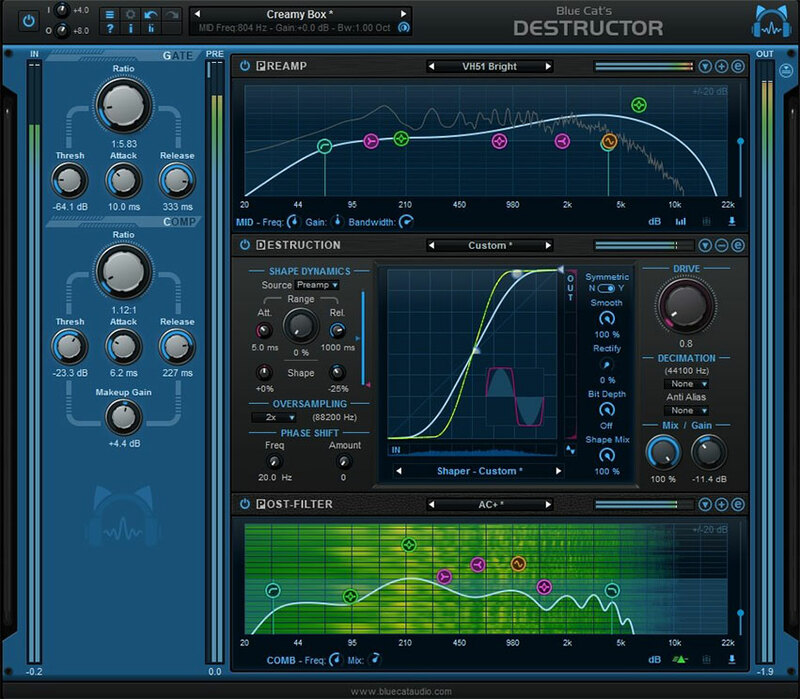 Destructor also includes a gate and a compressor at the input to control noise and peaks before applying distortion, as well as an output brickwall limiter to avoid overshoots. Destructor is built up of three modules: The pre-filter module, destruction module and the post-filter module. Each module has a 'easy' and an 'edit' mode. The easy mode gives access to only a few parameters of the underlying module, and the edit mode is a more advanced view with "full access" to the module. The pre- and post-distortion module means that distortion schemes can be designed to emphasize specific portions of the frequency spectrum. The destruction module is the core distortion generator of Destructor. This is where harmonics are generated and what causes the distortion. The easy view displays very simple controls over the distortion, which exact behavior depends on the other settings of the module. The simple controls consist of: drive, dynamics, mix and gain. In addition to these controls, it is possible to apply sample rate reduction after the shaper stage. This is ideal to produce typical digital Lo-fi effects. Destructor implements its distortion effect through dynamic waveshaping; using a shaping curve that may vary over time, based on the incoming signal. 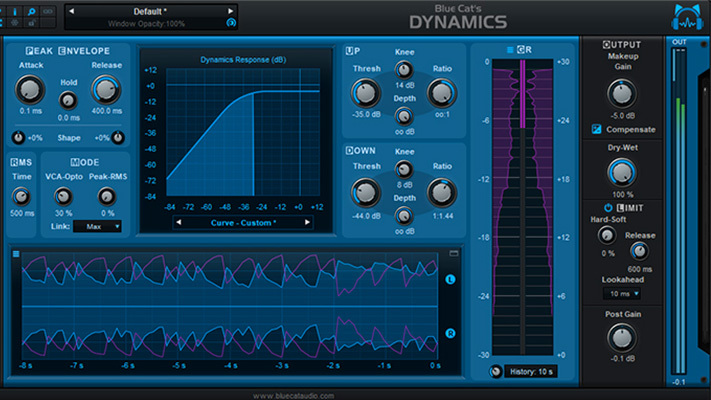 This dynamic waveshaping is what gives Destructor a natural feeling as the plug-in will react to dynamics of the incoming signal. The pre and post filters as well as the destruction processor are built as independent modules. All of them offer a wide variety of presets that can be used as predefined models to create your own tone. Simulate any kind of distortion: analog or digital, guitar and bass amps, saturation, clipping, compression, bit crushing, etc. Works for 'clean' sounds too. 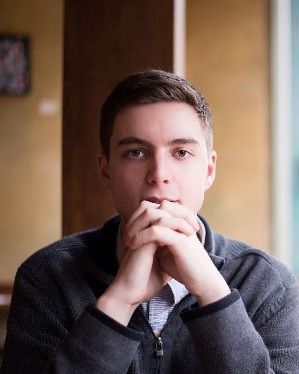 Hundreds of fully editable presets, inspired by real gear. Use the internal or external side chain to trigger the distortion of another track. Try setting a kick drum as a side chain to distort a synth or guitar track. Protect your ears with the output brickwall limiter. You will usually want to keep the brickwall limiter switch enabled to protect the output of the plug-in. While changing the shape of the curve in the destruction module, you should keep an eye on the reference sine wave to check what audio signal, if any, is affected. The more edges in the shaper curve, the more harmonics, and the harsher the distortion. 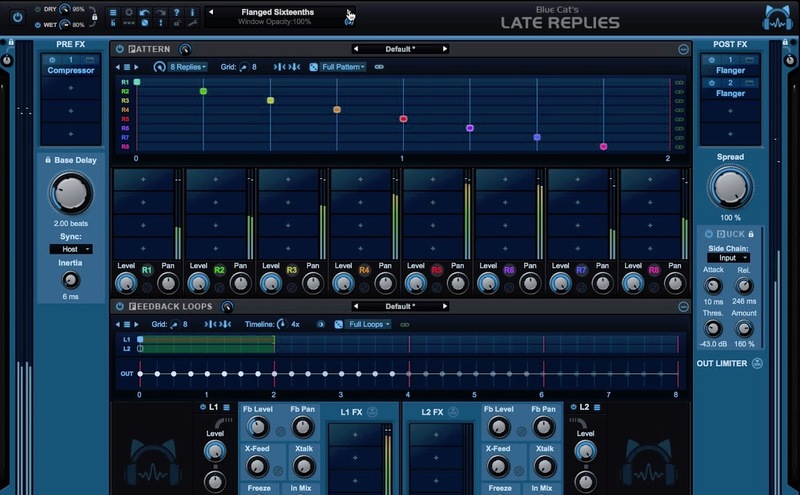 You can chain several instances of the plug-in to create different tones. For example, you can try a pedal preset in front of an amp preset to create a very high gain tone on guitars. Destructor is an all-in-one distortion channel strip. 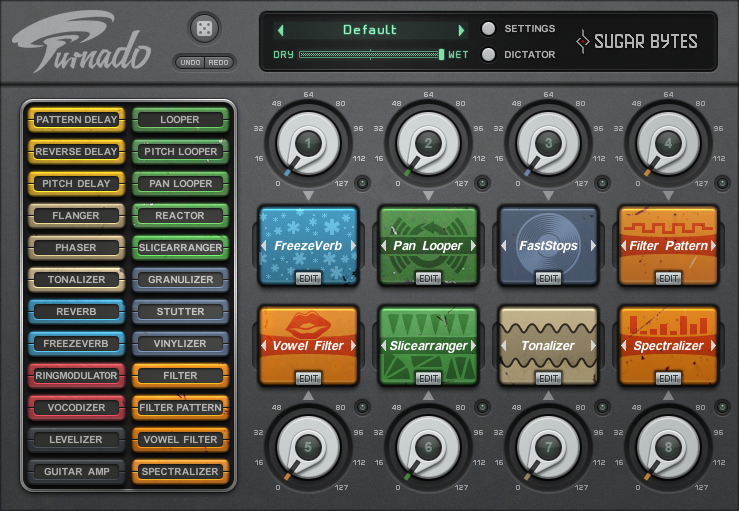 The plug-in allows you to explore endless distortion possibilities. The fact that Destructor can emulate guitar amps, bass amps, pedals, tubes, cabinets, etc, is one of the many reasons why I absolutely love this plug-in. The presets are incredible. Not only are they organized extremely well, but they sound amazing, thus making Destructor easy to jump into and start creating right away. Something that surprised me was the presets for drums. I found the drum presets allowed me to add a lot more character to my drums sounds. Destructor gave me the ability to beef up my kick drums in addition to adding grit and punchiness to my snares. The look of Destructor is great. The best part is, if you do not like how it looks, you can change it. There are thousands of different combinations allowing you to make Destructor your own. 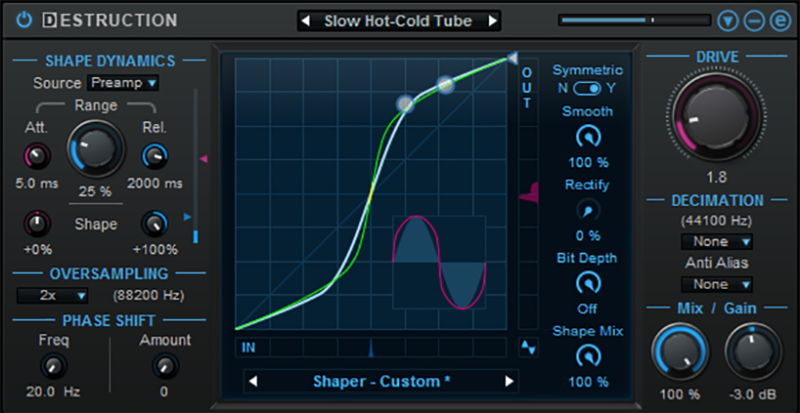 The GUI follows the signal flow making the plug-in very intuitive; so, custom presets are very easy to build. 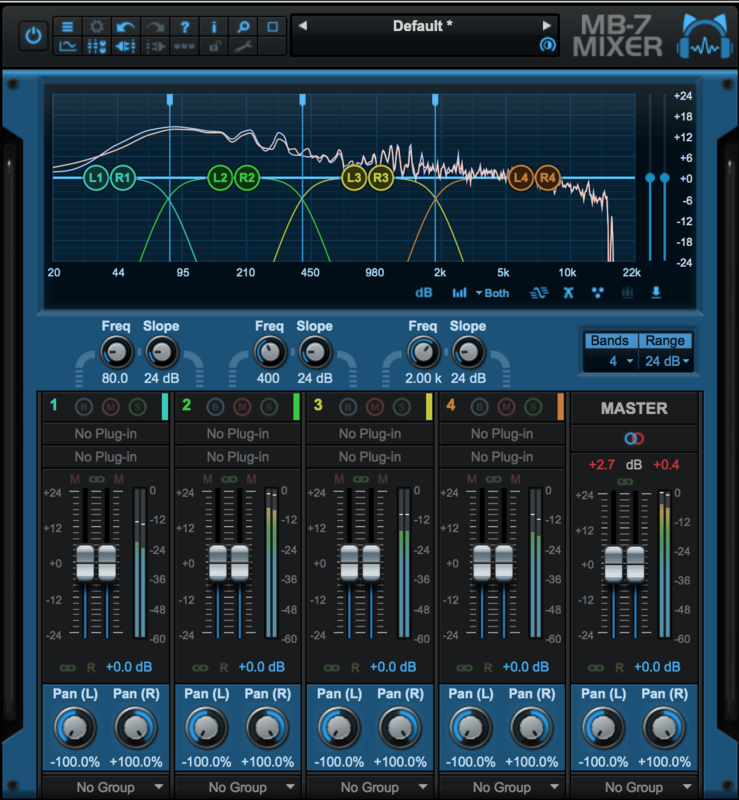 One thing I enjoy about Blue Cat's plug-ins is the parameter locks. Being able to lock various parameter whilst toggling through presets is a great feature. Destructor, like all Blue Cat products, also allows you to adjust the opaqueness of the plug-in. This made it super easy for me to see my arrangement in my DAW without having to exit the plug-in. It is a small feature; however, I think it helps with my workflow. I have been mainly using Destructor for bass and guitar; however, the plug-in can add a lot to any instrument you use it on. I found the plug-in taking my synths, strings, and especially brass instruments to new levels. 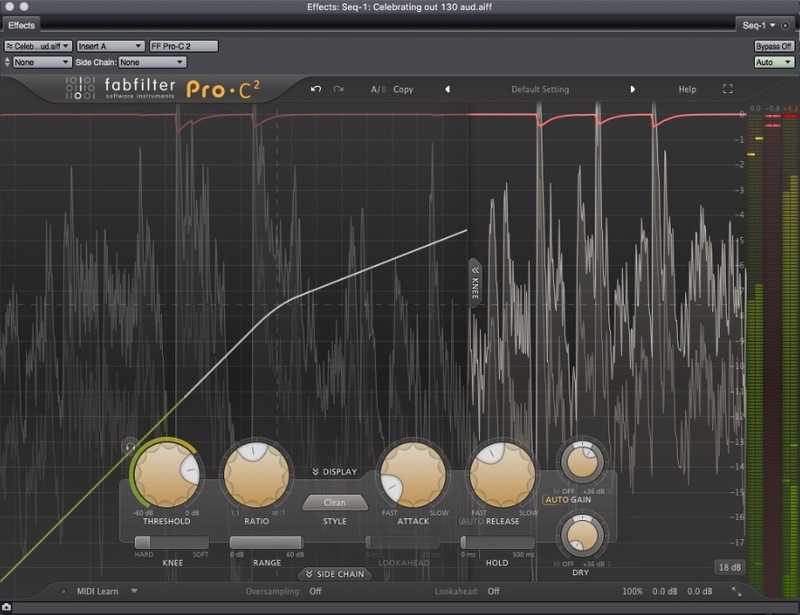 The envelope follower is a very useful function of the plug-in. The distortion can respond in real time to the dynamics of the signal being followed. So, you can tell Destructor to only apply distortion when things get loud or even only when things are soft. Very useful. Destructor is a very impressive plug-in. Its capabilities are endless. 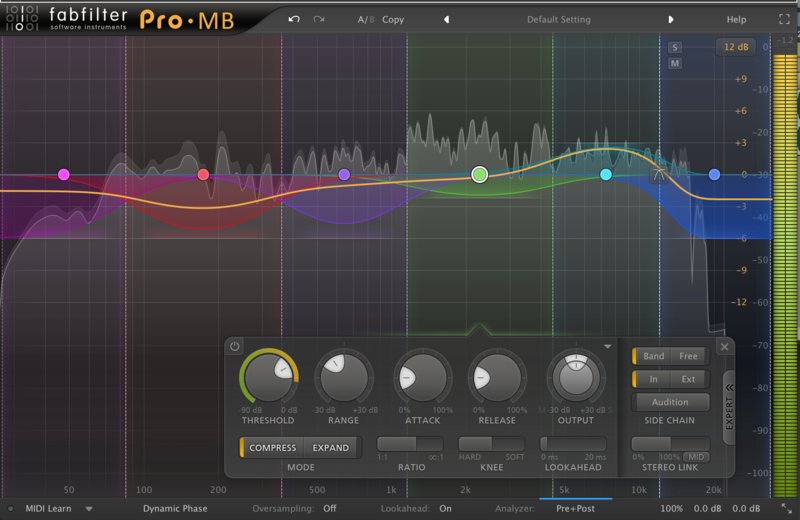 I am very excited to use this plug-in in my future tracks and on stage.